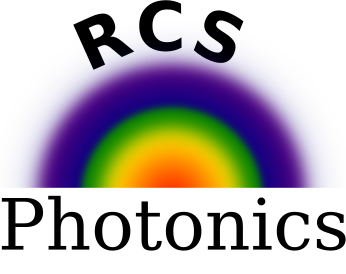 RCS Photonics is developing revolutionary mid-infrared laser technology that is tunable, compact, efficient and integrable: advancing various applications ranging across the defense, industrial, research, communication and medical sectors. We propose to develop electrically-pumped photonic IC-compatible single-mode mid-infrared diode lasers on GaSb substrates, emitting in the wavelength range from 2-4 µm. The primary objective is to establish this promising technology for the commercial availability of such application-suited lasers with a tuning range of as high as >70 nm, being useful for boosting sensing and communication capabilities. We also propose to develop photonic ICs operating in the wavelength regime. Such ICs will include integrated photonic components such as wavelength references, interferometers and transceivers. Similar to the advent of photonic ICs on InP platforms for C-Band telecom, mid-IR Photonic ICs will removing the need for discrete components, reduce optical coupling losses and remove the need expensive mid-IR optics and the associated assembly costs.